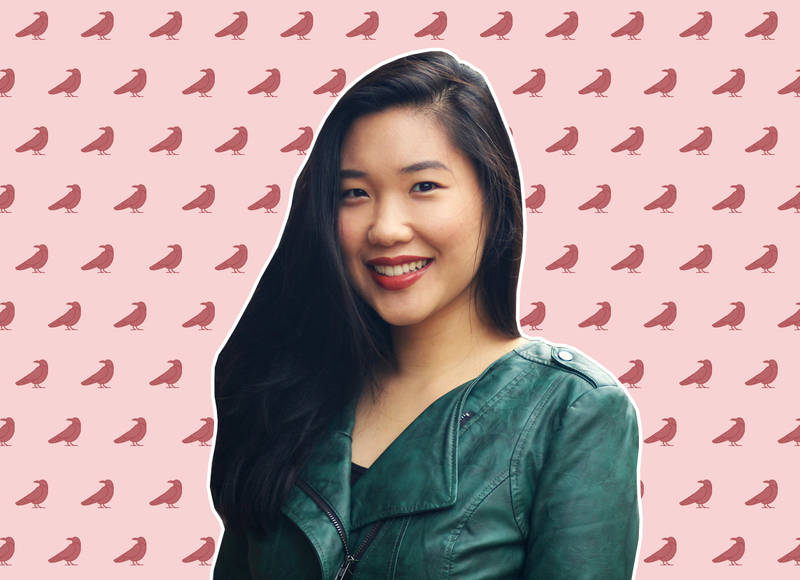 When readers meet Leigh Chen Sanders, the teenage heroine of Emily X.R. 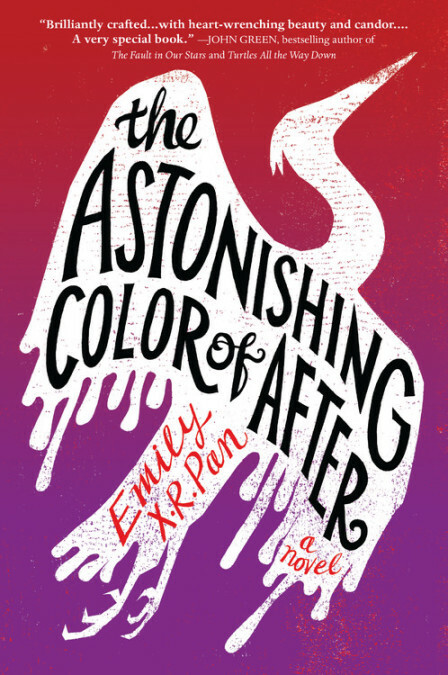 Pan’s new young adult novel The Astonishing Color of After, she has an unusual confession. “My mother is a bird,” she tells readers on the book’s first page. The red bird, which Leigh begins seeing after the death of her beloved mother, Dory, appears throughout Pan’s poetic novel, linking Leigh’s coming of age to the traditions and secrets her mother tried to leave behind. In The Astonishing Color of After, Leigh navigates her first serious relationship and burgeoning art career while also watching her mother’s health spiral as her severe, treatment-resistant depression worsens. After Dory dies by suicide, Leigh and her white father travel to Taiwan, where she meets her mother’s side of the family for the first time and uncovers a body of family stories that had been buried for a generation. “The grandmother in the story is basically my grandmother,” said Pan, who was born in the Midwest to Taiwanese immigrant parents. As someone who frequently reads young adult novels, Asian American narratives, and stories about the continuing stigma around mental health issues, I was immediately intrigued by the premise of Pan’s debut novel. The tight-knit community that surrounds Dory and Leigh is caring but unable to talk about the effects of mental illness on the Sanders family in an open or meaningful way. In her author’s note, Pan reveals that she personally lost a loved one to suicide and wrote the book in part to make discussions about mental illness less secretive and to make families like Leigh’s feel less alone. But in The Astonishing Color of After — which debuted in March and made the New York Times’ Best Sellers list — Pan is also careful to push back on the common narratives about Asian American mothers. Dory fully encourages Leigh’s interest in art and, as a former musician herself, finds joy in playing the piano. For readers of Asian descent who can’t quite relate to the stereotypical image of strict, no-nonsense moms, Dory’s attitude is striking (as is Leigh’s father’s insistence that his daughter be more academically oriented). 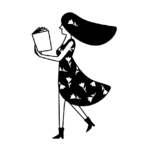 HelloGiggles (HG): While I was reading your book I kept wondering if you were also a poet. The way Leigh describes the world around her and her relationship to color and how she envisioned her art felt very poetic to me. Emily X.R. Pan (EXRP): That is such a compliment. I actually write terrible poetry, but I do create visual art for fun. Leigh just arrived in my head as someone who loved color. As soon as I pinned down who she was she was fully formed like that. And then when I learned about synesthesia, which is when you feel and hear colors, I thought, “I really like this idea.” My husband actually has it. I’ll give him one of my stories to read and he’ll say things like, “This story feels orange to me.” So I thought it would be great to have her process things through this extra element. HG: Did your own experiences as an artist affect the way you depicted Leigh’s artistic side? EXRP: When I realized she was an artist, I thought that with death and especially a suicide, it’s in our nature to find different outlets to grieve, so she had that. It’s hard to talk about death. We associate it with an idea that is so tragic. And with suicide, there’s also this idea that we can’t talk about it. As I go on my book tour, people will come up to me, and they’ll use this strange voice or their voice will get really low and they’ll say things like, “There was some of that in my family.” But they won’t say what “that” is. HG: Some of the most difficult moments are when Leigh spreads her wings — when she experiences her first kiss or paints something she’s proud of — and then goes home and sees her mother suffering. EXRP: It’s funny, because people like to ask me about that and they say, “This was clearly intentional, right?” But it wasn’t. I really set out to try to capture a severe case of depression as accurately as I could. Maybe subconsciously I thought about [that parallel], but I wanted to show how living with depression was. HG: Leigh’s mother Dory does have a creative side herself. Dory is a talented pianist and came to the United States initially to study music. It’s Leigh’s white dad who wants her to be more career-oriented. I loved that play on the Asian mom stereotype. EXRP: I really kind of wanted to turn that on its head. I resent that people think I have a tiger mom — I actually hate the term “tiger mom.” My own mom was an intense mom. She still is. But it is unfair to have this universal idea of what an Asian mom is. I still wanted that tension in there though, so I had the dad be the one telling her that. HG: I also think that, growing up in Asian American families, many kids feel like their parents don’t talk about mental health because of cultural stigma. But Leigh’s dad never truly acknowledges Dory’s condition either. EXRP: It’s just as much a part of white communities as it is in Asian ones. The taboo and stigma is 5000 times worse in Asian families, but it still exists in white families. But it’s really hard to be in a household that is affected by depression. The most important thing is to try to treat the disease like any other. The language being used around these things is so important. It’s so important they we don’t call people “crazy.” Also, the way we talk about suicide needs to change. When we say “committed suicide,” that’s incredibly hurtful. We should say, “she died by suicide” instead. When you use the word “commit,” you are implying they are committing a crime. If that’s the case, is there any surprise that people drop their voices when they talk about suicides? To use language like that prevents people from being willing to talk. HG: I was also thinking about the turmoil in Leigh’s house when I read about her fascination with her friend Caro’s family. That fascination felt like something many kids of immigrants experience. EXRP: I very intentionally wanted to contrast Caro’s family with Leigh’s. Caro’s family is not a standard family structure — there’s no dad in the family, her grandparents are fine with the fact that Caro likes girls. It bothers me that when there is no mom or dad, people think there’s something inherently wrong with a family. But Leigh’s family has a full and intact family structure, and there are a lot of things wrong. Just because you have the traditional family structure doesn’t mean that everything is hunky-dory. HG: Then, when Leigh and her father travel to Taiwan after Dory’s death, Leigh finds that people are apparently fascinated by her. EXRP: Oh my God, totally. I was born in Illinois, and my parents had friends who had a daughter and we were born a week apart. We were kind of raised like sisters. That family and their daughter moved back to Taiwan because the dad couldn’t find a job here. And I so often after that would have that thought of what could have been if my dad hadn’t found a job when he did. HG: What is it like meeting readers who say that they feel connected to Leigh or this book in general? EXRP: It’s really amazing. I was nervous because I really wanted to capture the [experience of] biracial identity. While I was researching, I interviewed biracial friends and friends of friends. I would talk to both biracial Asian American people and biracial people in general so that I could talk to them about what was specific as Asian biracial kids and what they felt was universal. So when I meet biracial people who say that they had never felt so seen in a book, that’s what makes being a writer worthwhile.